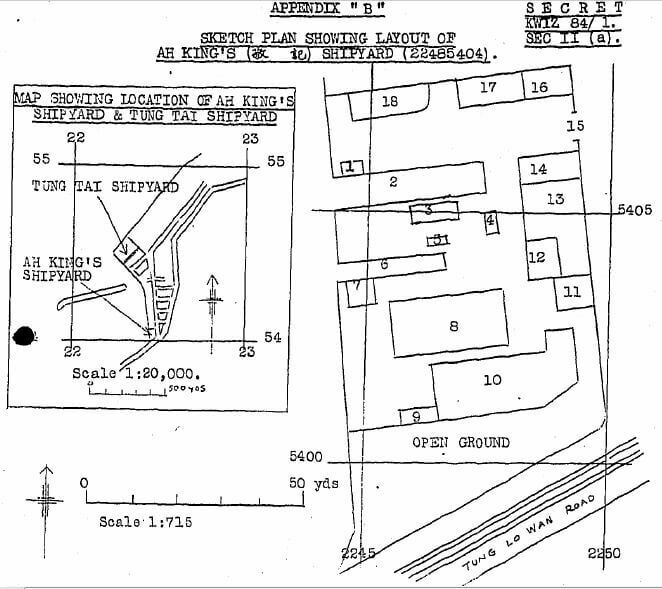 Elizabeth Ride has come across clearer copies of the BAAG sketch map and key showing Ah King’s Shipyard than those shown when this article was first posted. The map coordinates are also clearer. 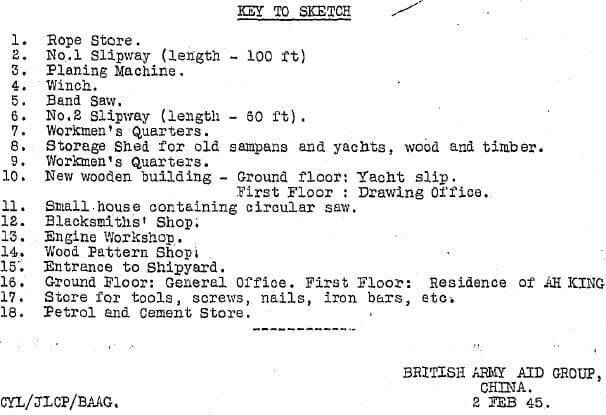 Ah King´s Shipyard, Map ref 22485404. 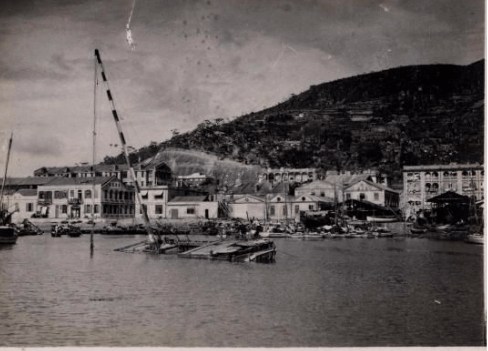 BAAG reports: Ah King´s Shipyard in Causeway Bay forms part of the No 2 Branch of the Lamma Shipyard. About 150 workmen are employed on the construction and repair of what are reported as MTBs. Two of these craft were completed between July 1943 and December 1944, but as no torpedo tubes are carried “MTB” is probably a misnomer. Other small vessels, such as launches, have also undergone repairs in the yard.